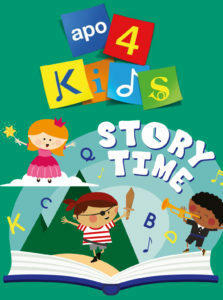 Gecko Press and Auckland Philharmonia Orchestra invite you to join APO 4 Kids Storytime fun-filled concert for pre-schoolers and families and celebrate storytelling together on the 30th of March or 6th of April. The tickets are available on the APO website. From Kiwi Classics and nursery rhymes to myths and legends, the APO present a programme of music for curious bookworms. The concert features story ‘Heads and Tails’ from Joy Cowley’s much-loved classic Snake and Lizard. Before the concert, kids are invited to the Music Zoo where they get to learn about the instruments of the orchestra up close. And in the final chapter, everyone can walk through the orchestra on stage as the musicians play the last pieces of the day.